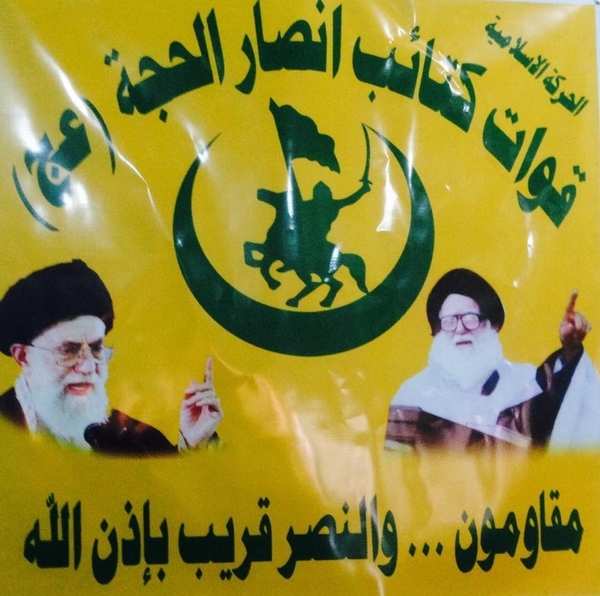 On top-right: "The Islamic Movement [in Iraq]" (political wing of the militia). On top-center: "Quwat Kata'ib Ansar al-Hijja." On left: Iranian Supreme Leader Ayatollah Khamene'i. On right: Ayatollah Muhammad Muhammad Sadeq al-Sadr. On bottom: "Resisting...and victory is near by God's permission."